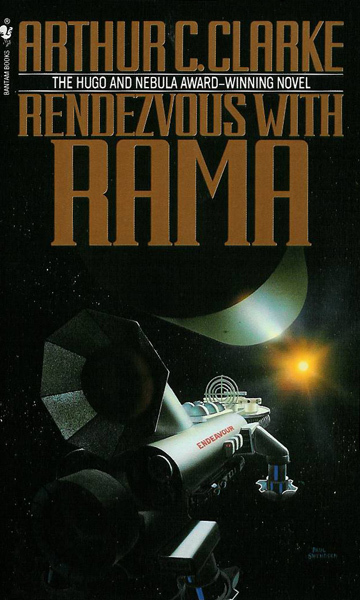 An indisputable SF classic that took home no fewer than five awards (among them the Hugo, Nebula, Campbell, and Jupiter) as the best novel of its year, Rendezvous with Rama is hard science fiction at its most fundamentally pure. Written at a time when Clarke was still enjoying the rush of success from 2001: A Space Odyssey, this novel carries a similar, though markedly less metaphysical, sense of awe about the incalculable mysteries the human race will be confronted with amid the vastnesses of space. In the 22nd century, an early warning system set up to protect the earth from devastating meteor strikes detects a large object hurtling our way at great speed. What's more, close examination determines the anomaly could very well be artificial, a suspicion that is soon confirmed. Christened Rama, the object is a massive cylinder, rotating rapidly on its central axis. As quickly as possible — as it is now apparent that Rama will speed past earth and back out of the solar system toward the unknown — an expedition is sent to investigate the amazing artifact. Its astronauts manage to penetrate the interior, to discover that Rama is some sort of "space ark," whose rotation provides gravity along the inner surface as well as a breathable atmosphere. The vast inner surfaces seem to house "cities," whose odd structures no one seems able to penetrate, and even a frozen "sea." 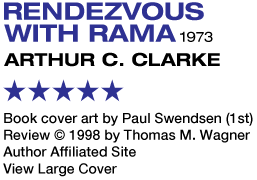 The bulk of the novel is given over to the myriad unexplained wonders lurking within Rama, and it is a fascinating choice on Clarke's part to leave much of what our explorers find just that: unexplained. Only guesses can be made as to the means of propulsion Rama uses. The nature of the Ramans themselves remains utterly shrouded in mystery, with each new discovery raising more questions than it appears to answer. While most hard SF seeks, like science itself, to explain phenomena, in this novel Clarke presents us with the astronomically inscrutable and the utterly alien. Whereas this approach might be insanely frustrating in most any other work of hard SF, here it serves to put the reader into the very shoes of the cast of explorers. We are right there with them at all times, making discoveries as they do. There is no omniscient godlike narrator drawing us a roadmap. Still, so as not to lose his readers entirely in cosmic ineffability, Clarke throws in a few well-placed tidbits of traditional suspense to notch up the excitement. A one-man expedition to the virtually inaccessible southern section of the cylinder meets with near-disaster in a good bit of white-knuckle storytelling. 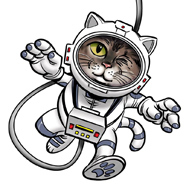 Then there is the additional nuisance of a thermonuclear warhead that has been fired at Rama by the paranoid colonists of Mercury, who incidentally haven't bothered to give the astronauts aboard enough advance notice to clear out in time. Thanks for that. But apart from those scenes, Clarke eschews traditional narrative much in the same way he did in the 2001 script. This novel contains no fat: no lame and obligatory romantic subplots, no predictable scary monster lurking in the shadows. And as for characterization, although it first may seem just a bit too light (especially compared to the extravagantly developed characters in the sequels), one quickly realizes that Clarke's approach is very well suited to the type of story he is telling here. Rendezvous with Rama is about exploration and discovery, and the way in which, even if solid answers are not always found, such discoveries change the course of our history forever. Unpretentious, unsentimental, and gracefully direct and readable with a natural grasp of the wonder and majesty of our universe, this novel achieves greatness simply by not trying hard to do so. Clarke collaborated with author Gentry Lee on three sequels (not to mention a CD-ROM game), the first of which is the cinematically monikered Rama II.